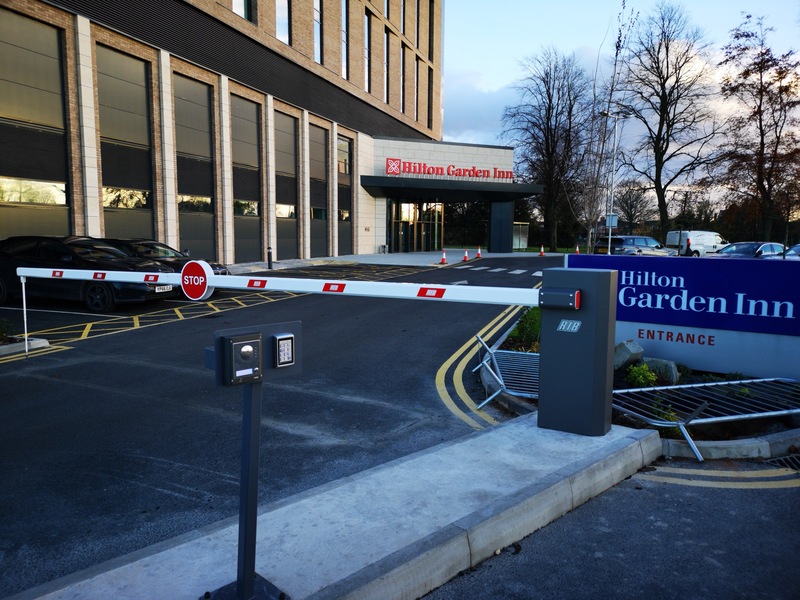 Our engineers recently supplied and fitted an automatic barrier with various access control at the Hilton Hotel, Garden Inn at Doncaster Racecourse. Our automatic barriers provide an effective and long lasting solution to controlling the flow of traffic and securing car parks. There are a number of options available for access control on automatic barriers such as; proximity cards, intercoms, radio fobs and digital keypads – a couple of which have been installed on this job. For an image of our installation at the the Hilton, Doncaster Racecourse, please scroll to the bottom of the page.